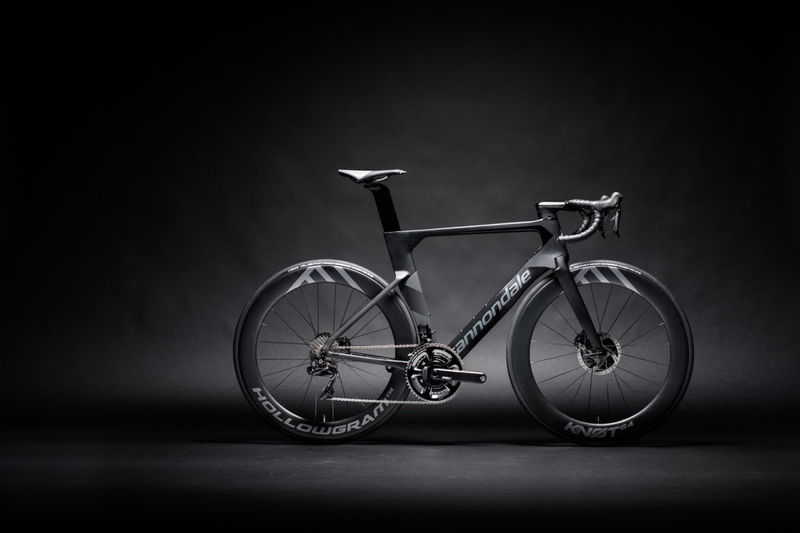 Is this the fastest road bike in the world? 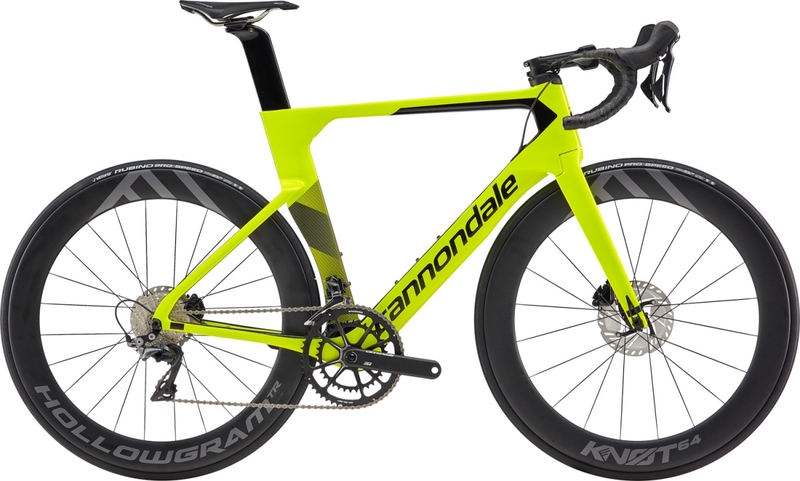 Cannondale says yes. 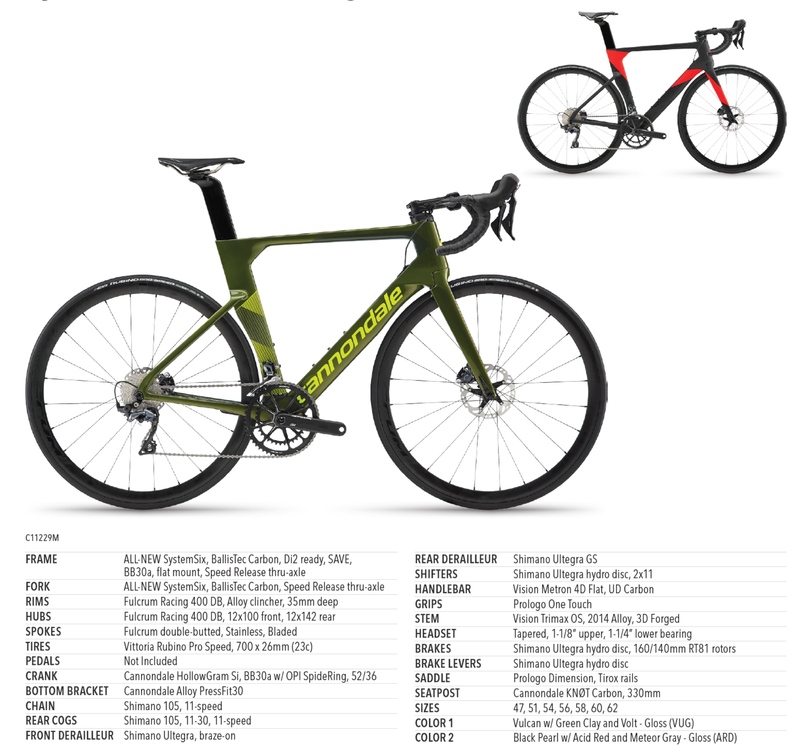 Cannondale has announced the launch of its newest road bike, the SystemSix. 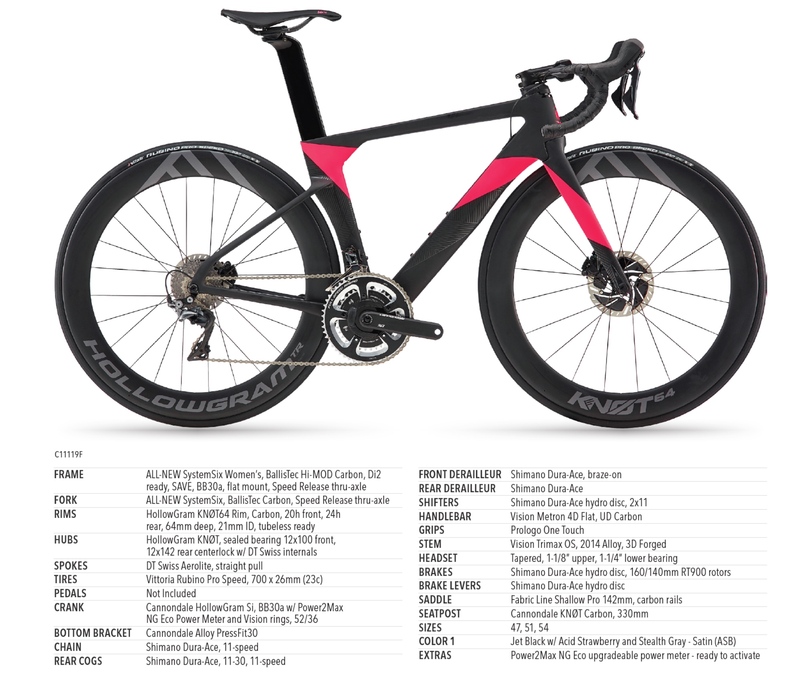 Designed as a complete speed system, this race-bred machine is claimed to be the lowest-drag, most efficient, all-around fastest UCI-legal road bike on the market today. 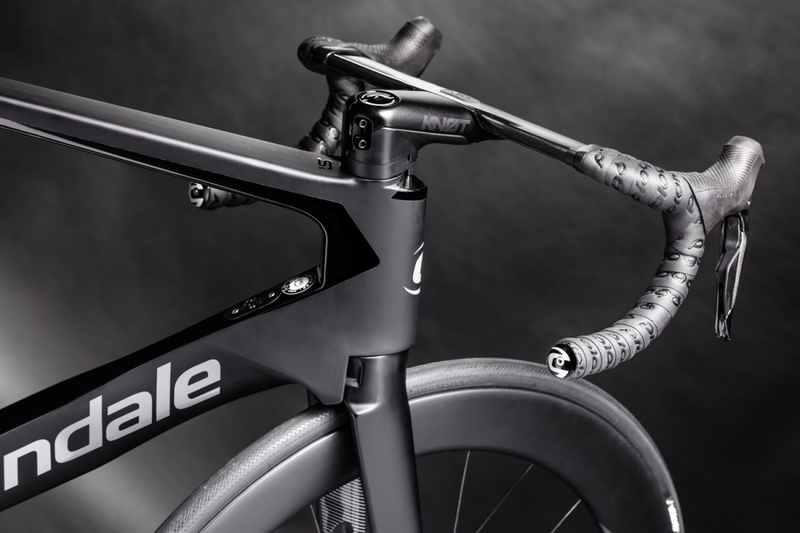 Precisely truncated airfoil profiles in the frame, fork and seatpost maintain air flow attachment across important yaw angles and minimize drag, while delivering stiffness and comfortable ride feel. 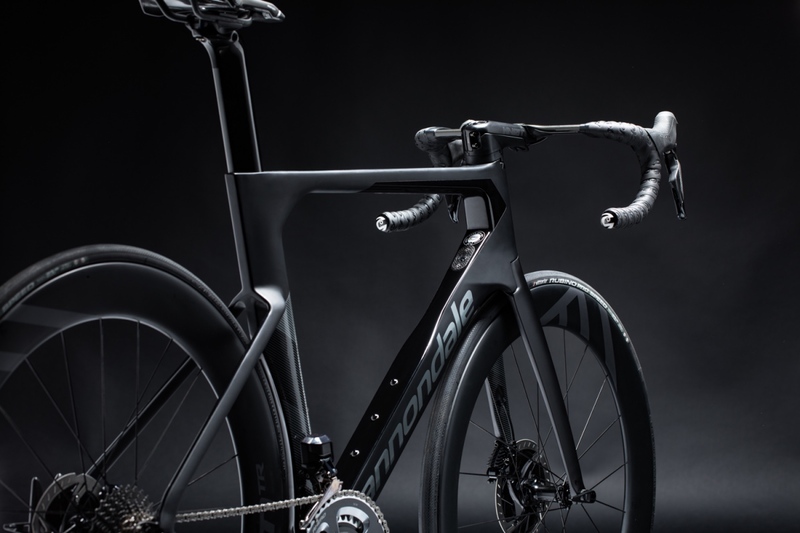 Indeed, Cannondale boldly claims that not only is it the fastest in the wind-tunnel and the fastest for a select few riders in a select few scenarios, but that the SystemSix is the fastest road bike for anyone interested in going faster anywhere. The HollowGram KNØT64 wheels are engineered to combine the comfort and feel of larger volume tires with the aerodynamic efficiency of the fastest wheelsets in the world. The new bike is meant for going fast on the flats, but it can also climb with the best of them. The SystemSix is built on a six-part foundation (frame, fork, seatpost, bar, stem and wheels) that all work together as a system. 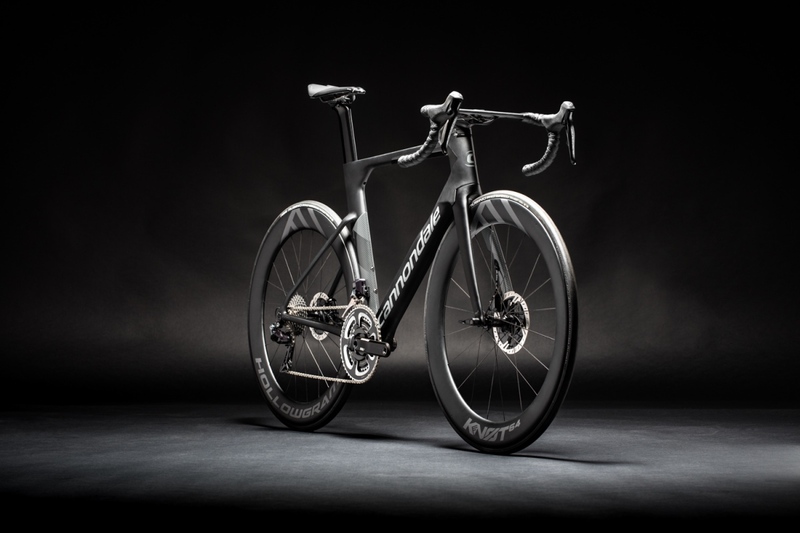 The disc-brake only design freed SystemSix from the constraints imposed by rim brakes, allowing engineers to achieve new levels of drag-reducing integration between the frame, fork and wheels. 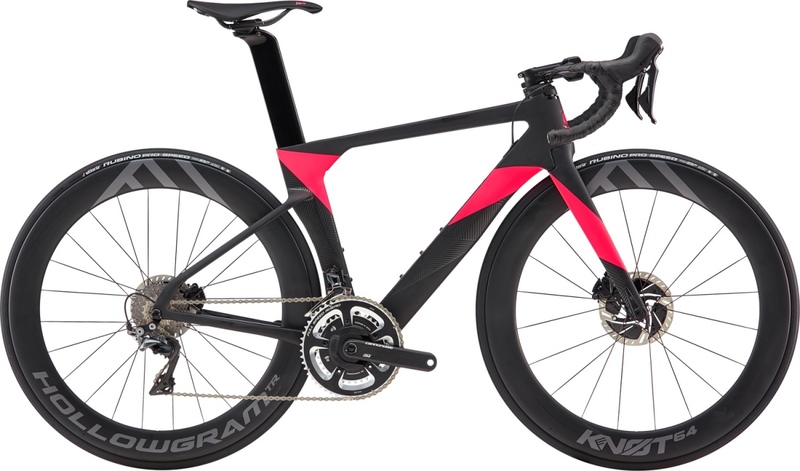 Precisely truncated airfoil profiles in the frame, fork and seatpost maintain air flow attachment across important yaw angles and minimize drag, while delivering stiffness and comfortable ride feel. Bar and stem are integrated but also adjustable. 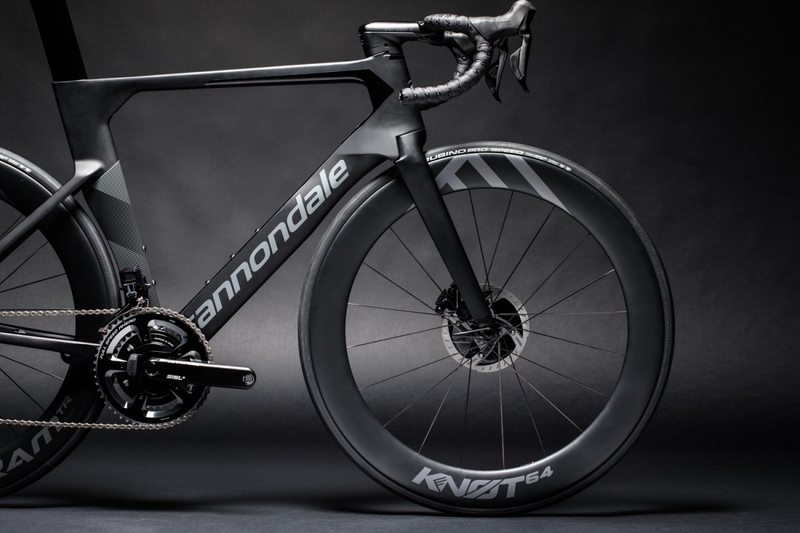 Completing the system are Cannondale’s new HollowGram KNØT64 wheels and KNØT SystemBar. The HollowGram KNØT64 wheels are engineered to combine the comfort and feel of larger volume tires with the aerodynamic efficiency of the fastest wheelsets in the world. 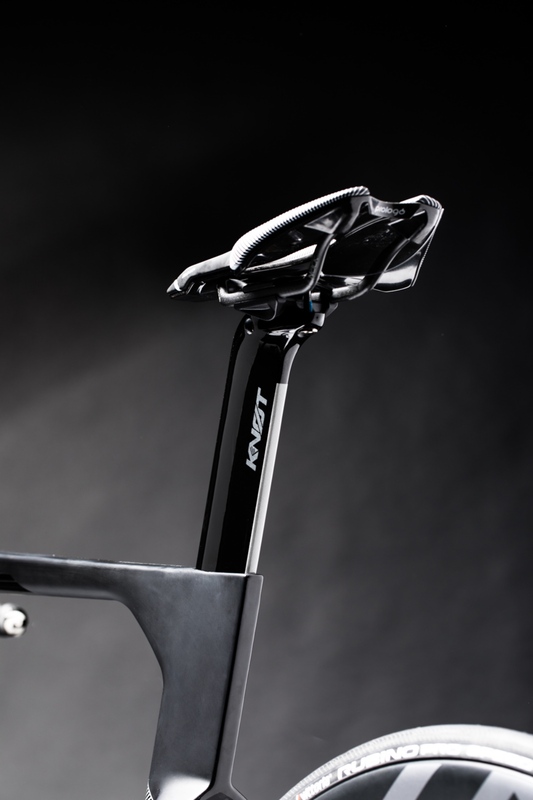 The KNØT SystemBar provides the low drag and sleek look of a one-piece bar and stem, with the adjustability and convenience of a two-piece system. With a full 8° of pitch adjust, as well as the ability to change stem length and bar width, it makes it easy to dial in the perfect position. Now that’s a clean look. 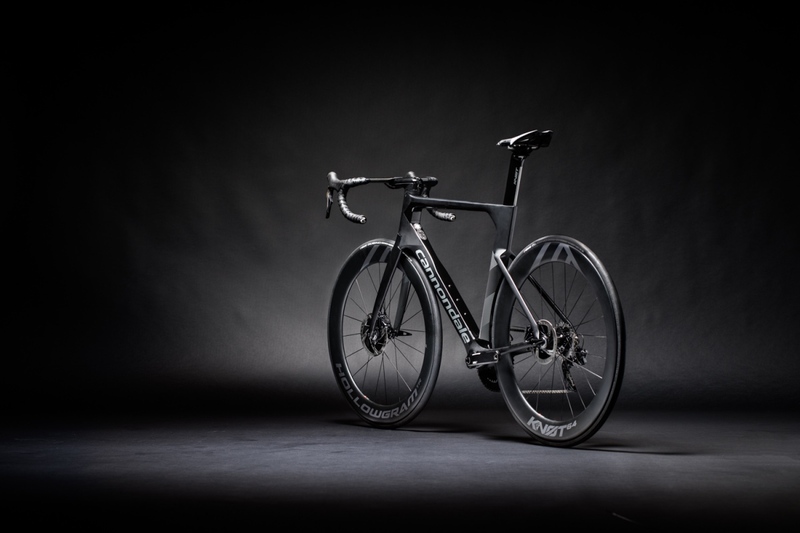 With other thoughtful details like ready-to-activate Power2Max power meters, fast and convenient Speed Release thru-axles and easy-to-service internal cable routing, the SystemSix is a full tilt, fully integrated road racing machine. It has an integrated seatmast of course. The SystemSix line-up features four men’s models, in sizes 47, 51, 54, 56, 58, 60, 62 and one Women’s model, sizes 47, 51, 54. 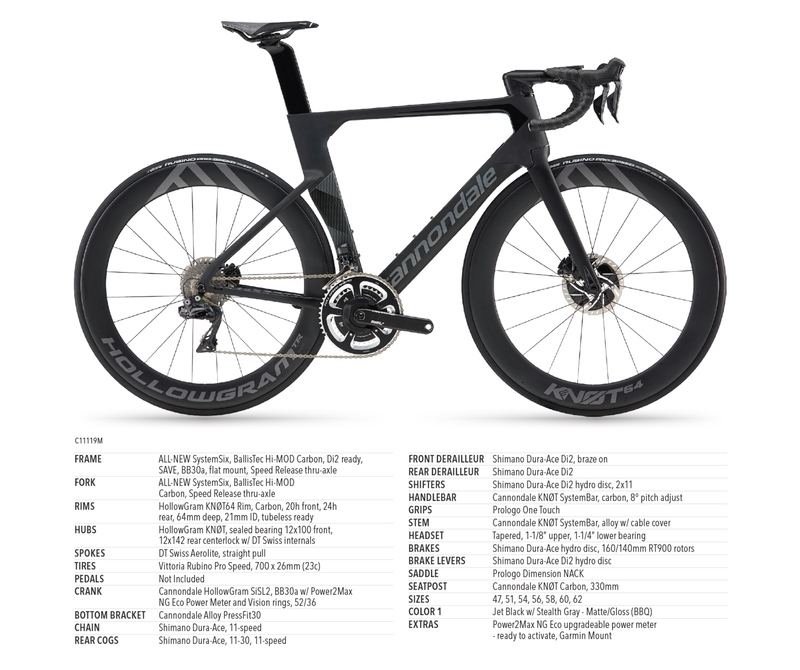 Here is a rundown of build options and pricing. Click the image to enlarge. 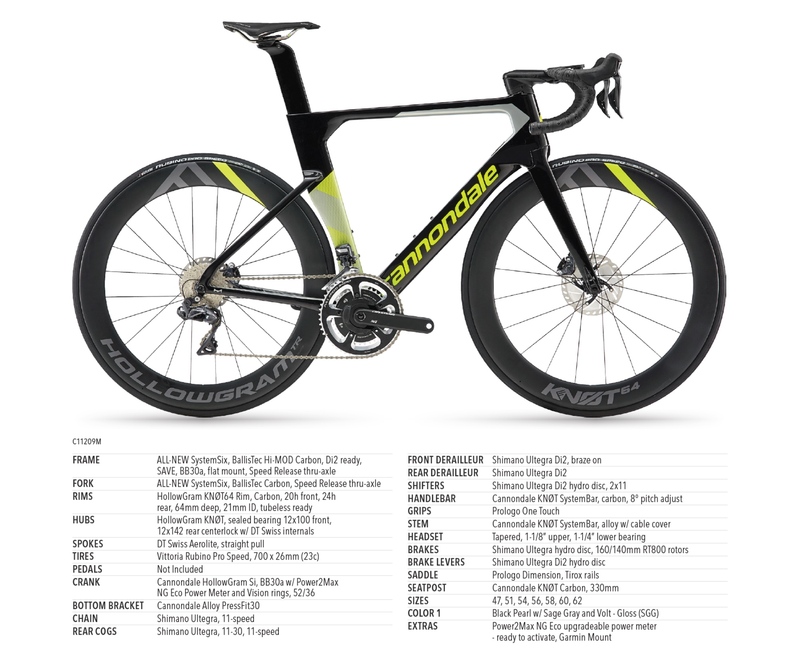 For full details on the science of speed, validation and test data on this new bike, see Cannondale’s whitepaper at www.cannondale.com/TheSystemSix. 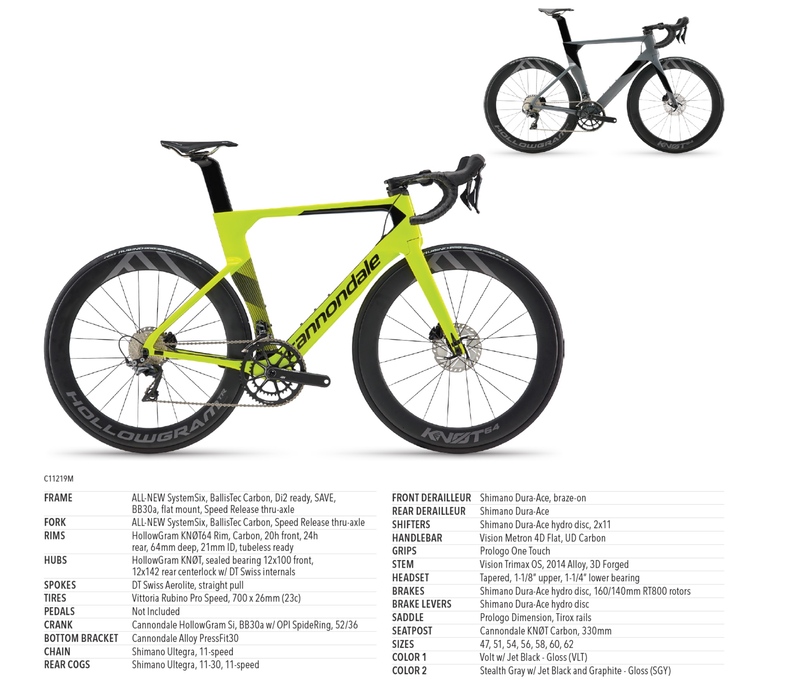 The SystemSix is not just for elite racers and offers benefits to riders of all levels, says Cannondale. 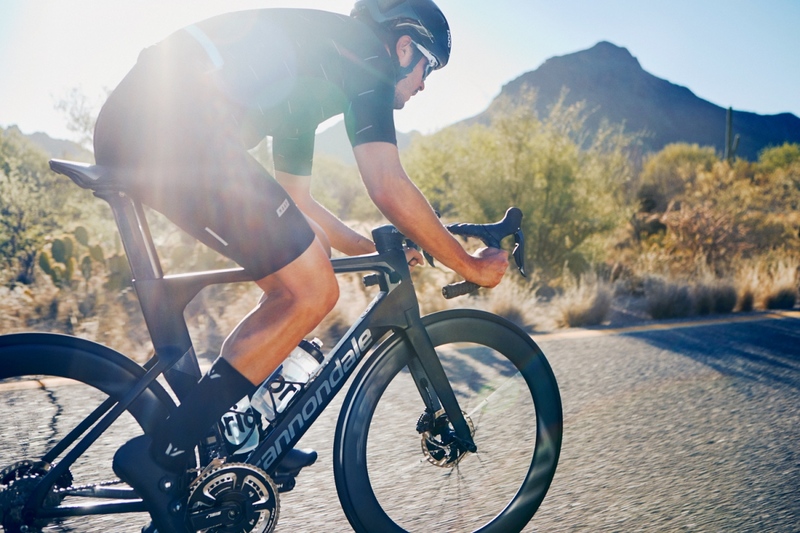 Cannondale tested SystemSix at the San Diego Low Speed Wind Tunnel against the fastest bikes currently available in the elite racing segment, and says their new bike came out on top. 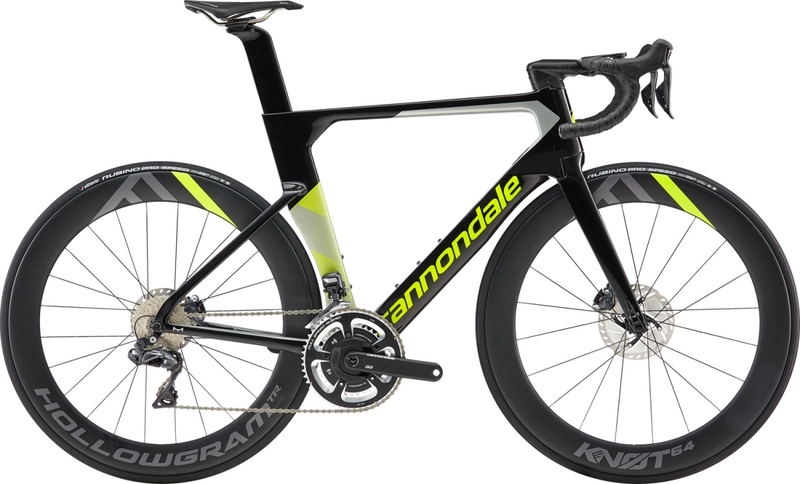 The top-of-the-line bike with a Shimano Dura-Ace Di2 build will run $11,000. 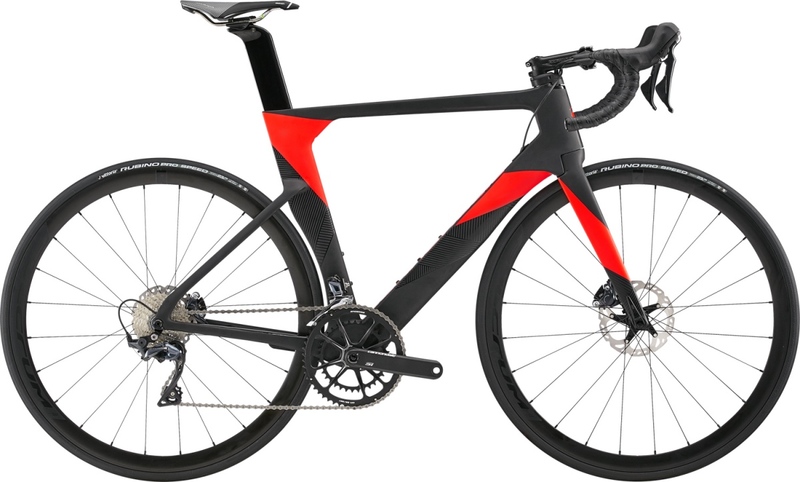 The Ultegra Di2 build is $7500. 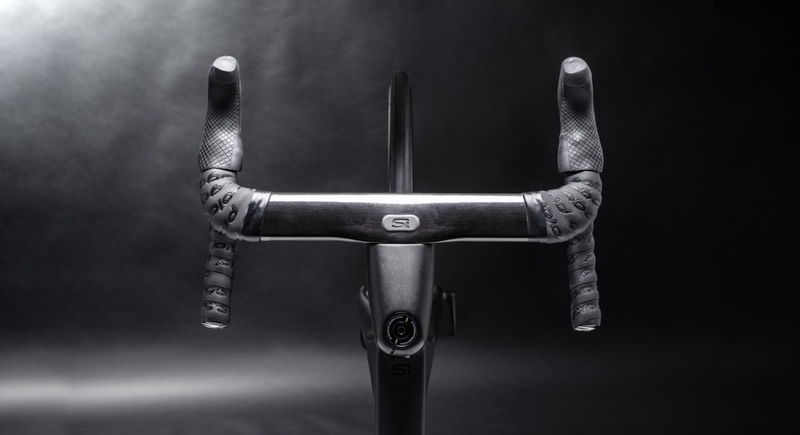 To minimize the weight of SystemSix without sacrificing stiffness, Cannondale used Hi-MOD carbon fiber as the primary material throughout the frame. $6000 will get you a standard Dura-Ace bike. How about a little pop in the frame? The SystemSix line-up features four men’s models, in sizes 47, 51, 54, 56, 58, 60, 62 and one Women’s model, sizes 47, 51, 54. The SystemSix was developed to match the head tube and bottom bracket stiffness benchmark set by their SuperSix EVO.